It seems like I'm only reading scary books these days. Hmmm. 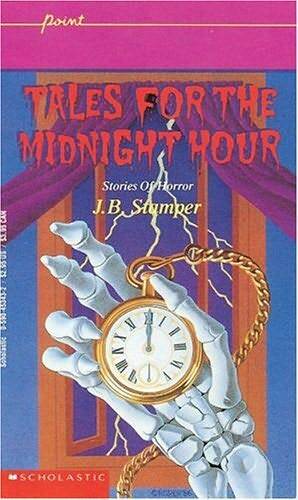 There are probably very few libraries that don't have a copy of one of J.B. Stamper's books from the Tales for the Midnight Hour series. They have been kicking around since the 1970s and I remember reading this volume when I was in middle school. I decided to revisit it to see how it holds up. The answer: not that well! I found myself shaking my head at most of the stories; the characters have generic names, several of them have identical endings (including the first two--I wondered if all the books were going to end with decapitation! ), and going insane seems to be Stamper's favorite way to end a story. Still, my sixth grade students will enjoy sharing these stories. The plots will be new to them and they will feel accomplished because the book is a quick, low-level read. Since the cover is so 80s, it might be worth having students who read the book design their own covers, as a means to attracting other readers.